The STEPCRAFT-2/600 is the perfect machine for anyone who needs more work area but might not have the bench space for the new 840. The 600’s work area of 600mm x 420mm is more than enough room for many hobbyists, woodworkers, crafters and more. It might be a little large for the average desk, but it will be right at home in the workshop or family room. As with all STEPCRAFT machines, you have the ability to quickly interchange attachments so you can go from milling to 3D printing, engraving to craft cutting and much more in seconds. 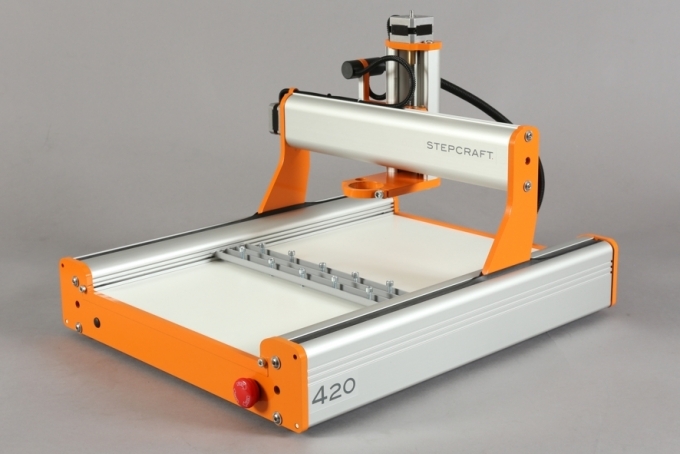 STEPCRAFT is the MOST UNIVERSAL machine on the market with a very competitive price. STEPCRAFT machines feature true German design, innovation, precision and craftsmanship. Click the button below to add the STEPCRAFT 600 - Desktop 3D-System Kit to your wish list.